As property goes this has to be one of the cutest! 2 Chandlers Place is tucked away, conveniently just off the main High Street. 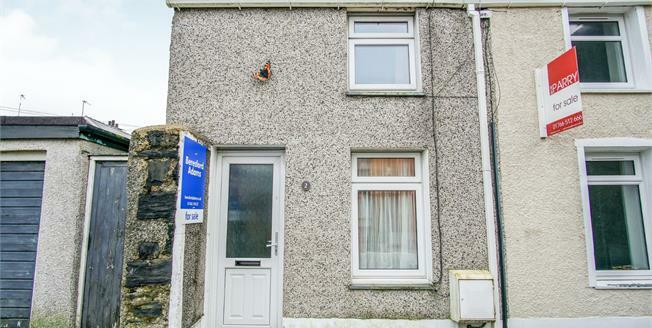 This well maintained property is fully double glazed and gas centrally heated and has a small, enclosed courtyard to the rear. Once inside the property there is a cosy lounge with 'Living Flame' fireplace leading to a kitchen at the rear. To the first floor there are two bedrooms, family bathroom and a dressing room. A white fitted kitchen with single drainer sink unit, space and pluming for a washing machine, space for under counter fridge and freezer, gas hob with extractor hood above and space and point for electric cooker below. Double glazed window to the rear overlooking the rear enclosed yard area, radiator and double glazed rear door. Three piece suite consisting of a low level WC, bath with shower over, wash hand basin and radiator. Double glazed window to the rear, radiator and built in storage hatch. Double glazed window to the rear, radiator, wall mounted boiler and built in storage hatch. There is a small enclosed yard area to the rear.